What to say when you get another Black Widow that a smile can’t say… but do I really have to keep saying Black Widow Black and Gold??? 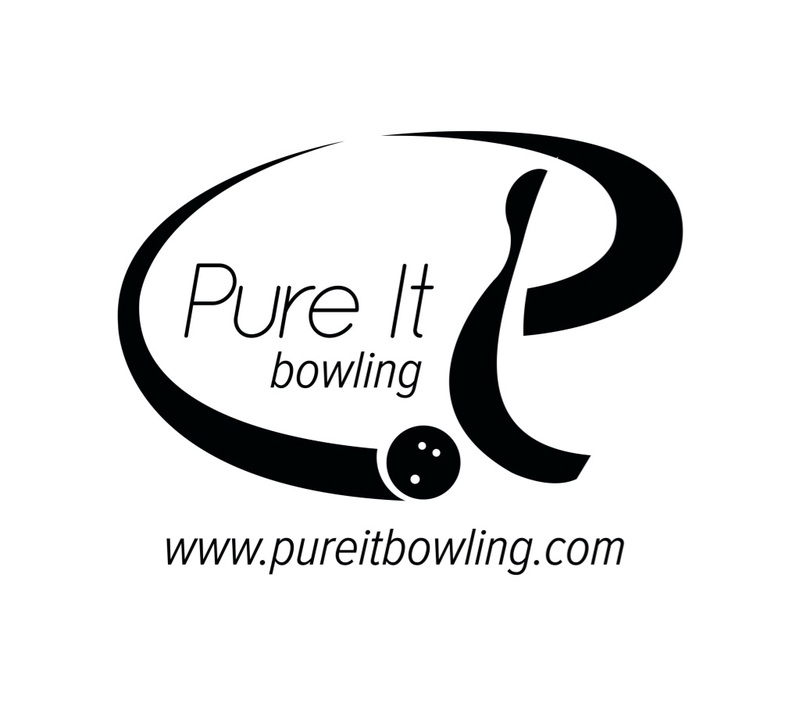 Buy the Track Precision at PerfactAimBowling.com. 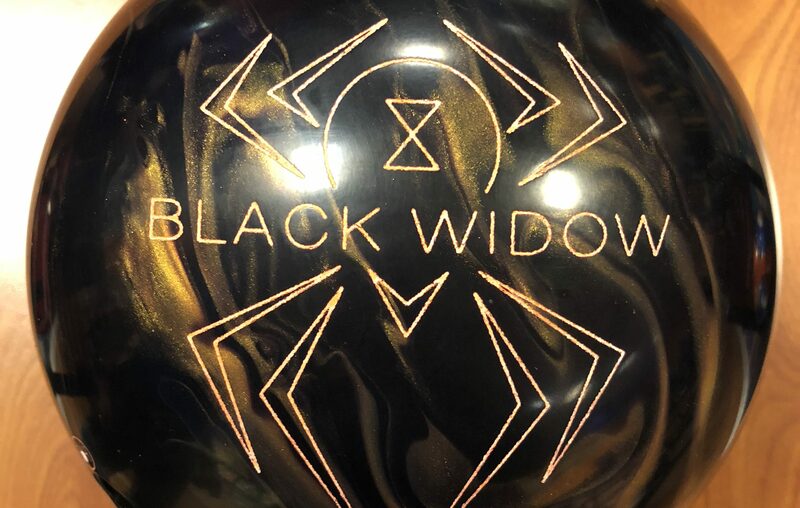 The Black Widow Black & Gold is a well known entity and I don’t think a bad ball can be made with the Gas Mask Core. This will be stronger than where it’s price point is and feels like a top line ball with versatility. The Black Widow Black and Gold uses the venerable Gas Mask Core inside the Aggression Hybrid coverstock. The Black Widow is a famous line now. That Gas Mask Core though… Hammer puts it into an aggressive hybrid coverstock, the Aggression Hybrid without the CFI. So more or less the same cover as the RipD. Not much hasn’t been said about the Black Widow line over time. We’ve seen a hybrid before. With this one though, it’s got to be the strongest if not one of the strongest ever made with the gas mask. The shape is still that amazing continuous boomy move. It never feels lazy or overly loping in this formula. It just feels really strong with the cover giving it decent length but lots of strength. 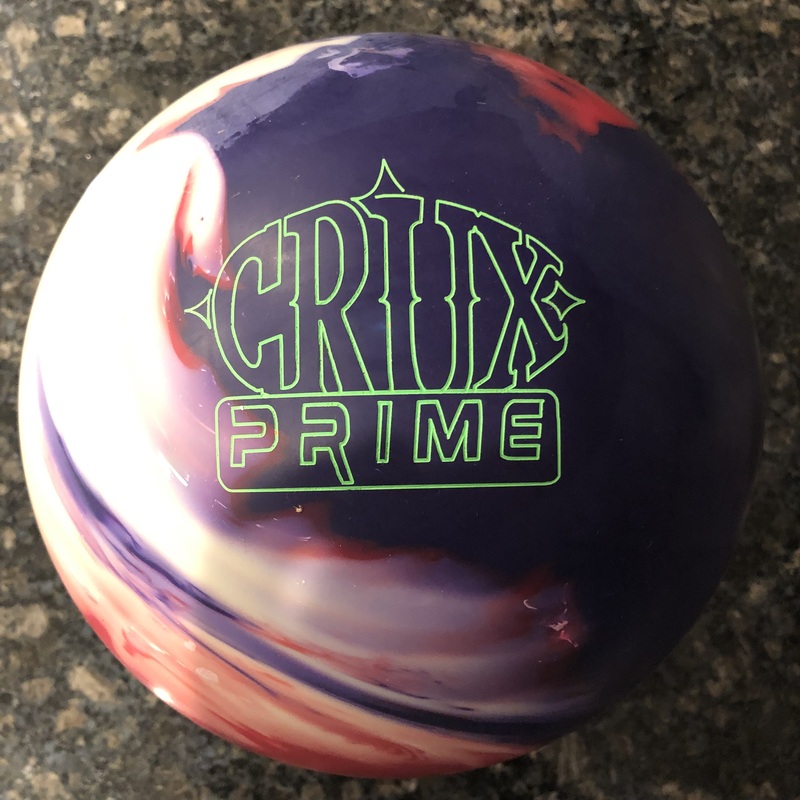 It was the strongest ball we threw in the session, including the new Track Precision, Matrix Solid, and GB3. We needed to give the black and gold some room for sure. So much so, we wondered if it actually took away some level of usability on house shots. I kept moving in only to keep thinking, holy hook batman! I want to see some volume. The hybrid smoothes out the midlane but the backend just keeps coming. It’s more continuous than most asyms. It’s as if the V2 core got drunk and 9 months later turned up with an alien super baby. With that said, what’s striking is the continuation you get out of this asym when many stand up too quickly. This is really close to the strength of the RipD with a similar cover but this core feels less lumbering. The RipD feels like an American muscle car. Tons of power and torque with a tougher time being nimble. The Black Widow Black and Gold feels like a supremely balanced super car that can go fast and turn nicely when asked. Then comparing to the Black Widow Gold, that one feels more like a go-cart. Don’t ask it to go too fast but boy can it turn the corner. For Sean, it’s more of the same. It’s a really strong ball. He got deeper with this than any other ball we had on the day. The ball’s got decent length you can tell it’s revving up hard and raring to go then boom as it goes through the pins. He can get it out as it will not burn up in the dry. It’s nicely balanced but a lot of ball midlane and downlane. Compared to the Gold, it’s a couple of boards stronger. Again, the Gold is a bit longer and snappier with the Pearl cover. Bryan was next and again the Black Widow was the strongest in the session for him. He had to move further in. For him the Black and Gold wasn’t quite as “backendy” as Sean and I got. With his roll, moving into the oil will take some bite away. Nevertheless, the ball looked good and when it started to hit flat, he moved left again and he was back in business. 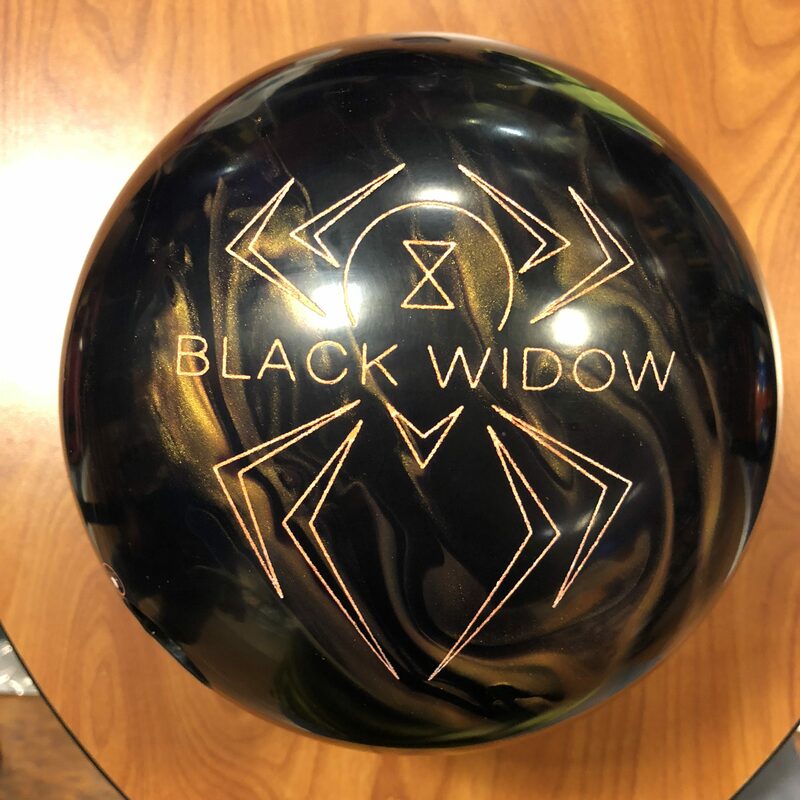 Comparing to the Black Widow Gold you can again see it’s a little cleaner and a bit more angular. A couple of boards apart. Finally Dave was up and he quickly saw that this is a strong ball as well. With his lower tilt compared to Bryan, the ball stands up harder in front of the pins and drives with more entry angle. He had a good look and the ball certainly didn’t feel too strong on a house shot for him. You can see how clean the Gold is in comparison and he needs to move back right to get to the pocket. We tested on the 47 ft PBA Scorpion. This pattern is long and plays long. For the left side, the pattern is fresh and I would never throw shiny. You could see why. 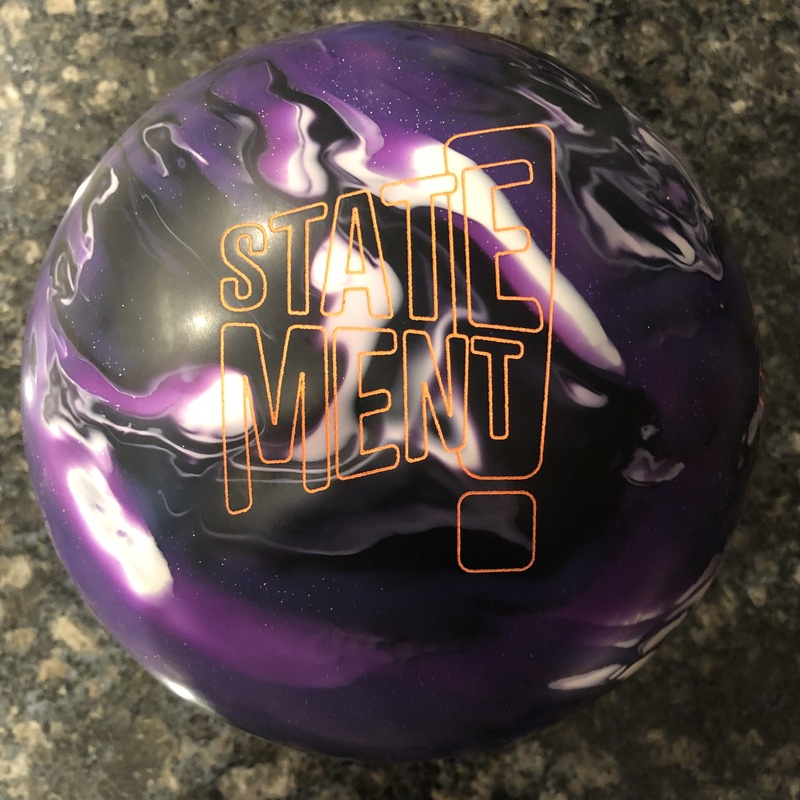 The ball is strong but the length control is not there when matching the polished ball with the 47ft pattern. Nevertheless, I can see this ball easily being playable for me on this with some surface. My favorite look on this type of length pattern is stron asym pearl or hybrids with surface, ala Intense or Hyper Cell Fused. The Black Widow Black and Gold easily fits that mold for me, especially with the strong hybrid cover. For Sean, the Black and Gold is a good fit. The pattern is a bit broken in and a shiny asym or sym work well for him. He does get in deep which is pretty normal for him on this pattern and the Black and Gold shapes really nicely in the midlane and backend. Finally Bryan gets a look and he had a decent look, probably more control than I did with the shiny finish. Because he covers less boards and doesn’t generate copious backend, he had more control and got to see how the asym core plus the hybrid was a bit more controlled in the midlane. I still think surface is a requirement for scores which he could easily do to this ball. Besides having a strange name, I believe the Black Widow Black and Gold is the strongest widow released in a while. The strong hybrid cover is a nice match up which adds some midlane traction to a core that already knows how to do the business down lane. 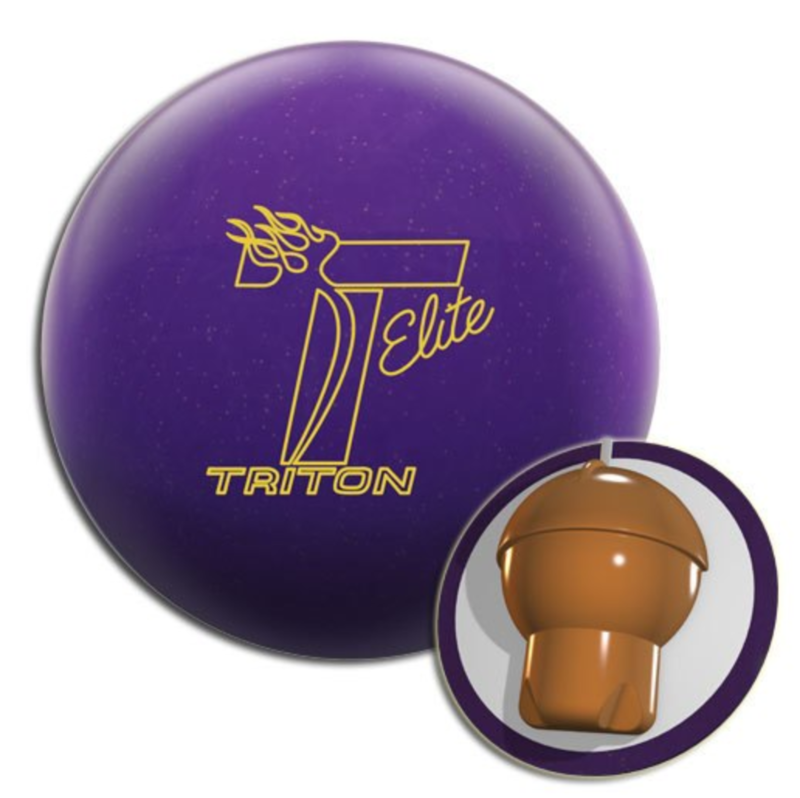 This will give bowlers who need a bit more oomph and control what they need, especially if you have a Black Widow Gold. I wonder if this ball will cannibalize sales from the RipD Hybrid with just about the same cover. Like I said, this is the well balanced sports car while the RipD feels a bit like American Muscle. I guess you can pick your poison but the Black and Gold is a fantastic piece.